Since the adoption of globalization policies in India and opening up its economies to Foreign Direct Investment, a lot of big players in the international market have been eyeing India’s economy as a potentially booming market for them. The advent of internet in the early 2000s provided further impetus to these companies, as the penetration of Internet in daily life has been deep and impactful. E-Commerce is emerging as one of the biggest methods of retail, and India with its huge demand, diversified customers and large population is an ideal place for investment. Investment of foreign capital through retail has also brought a lot of benefits to Indian consumers, such as newer brands, more variety, a larger range of choice, and all this has radically changed the way consumerism operates in India. E-commerce is a glaring example of how the internet has affected us. We can browse through tons of styles and products every day sitting at home, and online market places update their collections every day, something which is impossible for local retailers to do. It is also possible for online retailers to provide the customers with more discounts since they get their products directly from sellers, thus eliminating the need of a middle man. Therefore new styles, fresher stock, more discounts and larger choice draw more and more consumers to e-commerce sites. The biggest e-commerce sites operating in India today are Amazon, Snapdeal, Flipkart and eBay. They have huge collections of products in every category imaginable, and provide a platform for sellers to list their products for sale. eBay is one of the only ways in which Indian sellers can list their products for sale abroad. An up-and-coming company, Alibaba.com, whose major operating base is in China, is also eyeing an entry into the Indian market. It is one of the biggest e-commerce platforms in the world, and its online retail marketplace TaoBao.com is projected to make an entry into the Indian economy. The one thing in common among these e-commerce sites is that they are all controlled by international corporations. 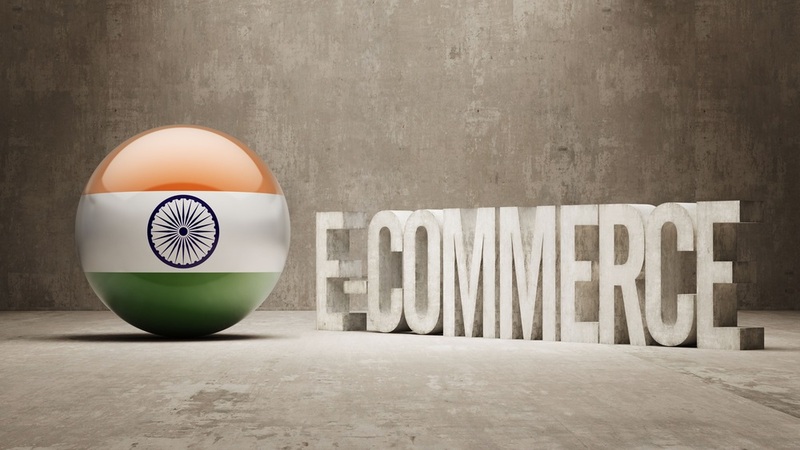 Part of the reason behind this is India’s foreign trade rules which have existed since before e-commerce came to the forefront and is somewhat ambiguous regarding its rules about e-commerce. India has allowed 100% FDI in online retail consumer businesses which act as a facilitator between buyers and seller by providing a technological interface. Most of the largest e-commerce players, therefore, serve as online market places. FDI will not be allowed in inventory based models, where the company owns the goods being sold through its platform. Online companies serving as market places will not be allowed to have more than 25% of their products from a single seller, even if that seller is the company itself. This doesn’t bode well for retailers like Amazon and Flipkart because the largest seller on Flipkart is a subsidiary called WS Retail, whose share in the total of Flipkart’s offered products is easily much higher than 25%, and Amazon’s largest seller is Cloudtail India, with a whopping 40% share of overall sales. The Government also said that online market places will not be allowed to influence the price of the products listed on their platforms. This could be potentially harmful since the large discounts that these online market places offered is one of the biggest reasons behind their enormous consumer base. Other sites such as Snapdeal , whose products do not come from one major seller, however, are quite positive in the acceptance of these changes, since they are purely market based than inventory based services, and are inclusive of a wider range of sellers.